Expires in 4d . Last validated 2mo ago . Used 4 times. Jose Gomez I'm validating that this deals works as described. 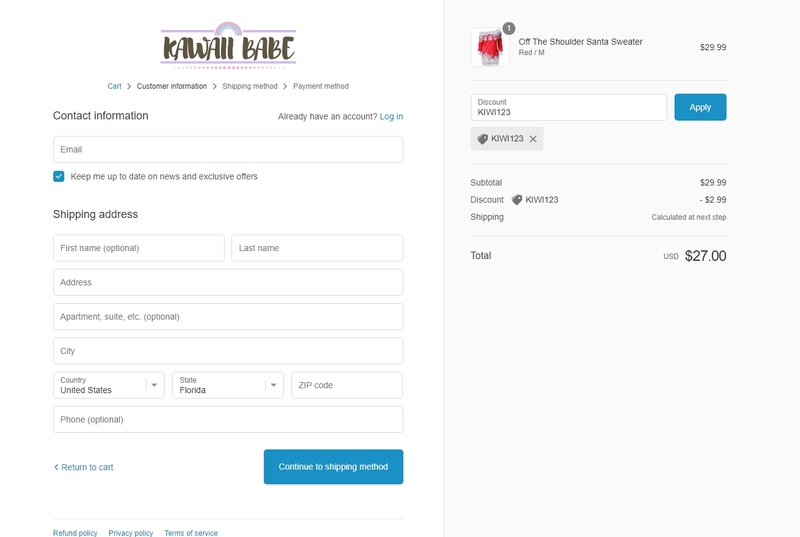 Go to Kawaii Babe, add the item to your shopping cart. Enter promo code and save 10% discount off your order. Rafael Lozada The promotion code is valid and works as described, simply enter the promotion code during the payment process to receive the discount.